So what’s the proper response? Deliver flowers to the clinic? Send a card to surviving family? As far as I know, physician suicide etiquette has never been discussed — anywhere. Etiquette is defined as the customary code of polite behavior in society or among members of a particular profession or group. The customary way to deal with suicide is to ignore it. 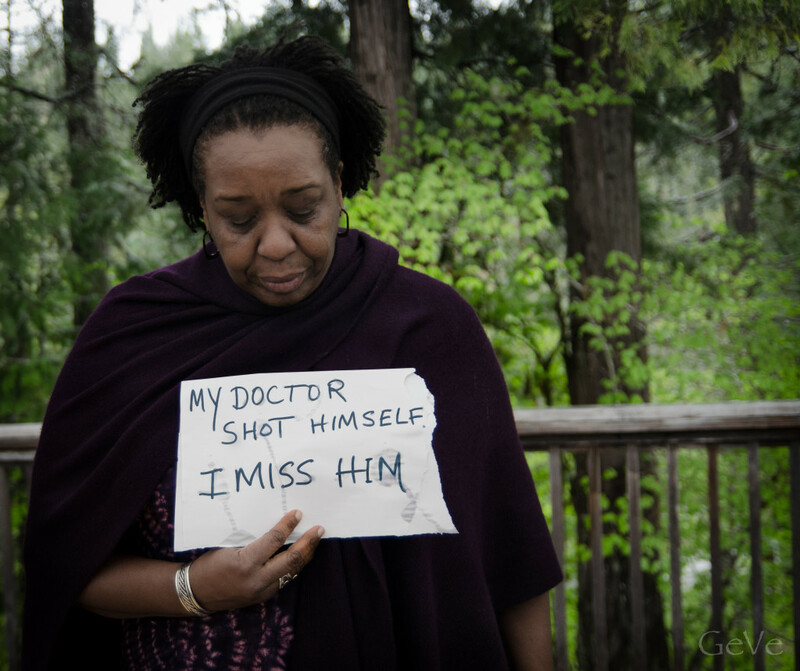 Physician suicide is rarely uttered aloud — even at the memorial service. We cry. We go home. And doctors keep dying. I’ve been a doctor for 20 years. I’ve never lost a patient to suicide. I’ve lost only friends, colleagues, lovers — all male physicians. In the U. S. we lose over 400 physicians per year to suicide — the equivalent of an entire medical school gone! Physician suicide is a triple taboo. Americans fear death. And suicide. Physician suicide — even worse. Yes, the people who are here to help us are dying by their own hands. And nobody is accurately tracking data. This is not popular dinner conversation. But it should be. I’m a family physician born into a family of physicians. Raised in a morgue, I spent my childhood, peeking in on autopsies alongside Dad. I don’t fear death and I’m comfortable with suicide. So comfortable I spent six weeks as a suicidal physician myself. Even I was in denial — clueless about all the other physician suicides. Until our local pediatrician shot himself in the head. He was our town’s third physician suicide in over a year. At his memorial, people kept asking why. Then it hit me: Both men I dated in med school are dead. Brilliant physicians. Both died — by “accidental overdose.” Doctors don’t accidentally overdose. We dose drugs for a living. In his rebuttal to Drake, “Sorry, being a doctor is still a great gig,” pediatrician Aaron Carroll calls the misery BS. He claims doctors are well-respected, well-remunerated, and they complain far more than they should. He predicts people will soon ignore doctors’ “cries of wolf.” To cry wolf is to complain about something when nothing is wrong, yet doctors suffer from depression, PTSD, and the highest suicide rate of any profession. Physician suicide etiquette rule #1: Never ignore doctors’ cries for help. Bob Doherty of the American College of Physicians also downplays physician misery. His response is classic: When doctors complain, quickly shift conversations from misery to money — their astronomical salaries. But when a doctor is distressed how is an income graph by specialty helpful? It’s not. The usual response is to create a committee, research the issue, gather best practices, decide to have a conference, wordsmith the title of the conference, spend a lot of money on a site, food, honorariums, fly in experts, and have ‘a conference.’ When nobody registers for the conference, beg, cajole and even mandate that they attend. Some people attend and hear statistics about how pervasive the ‘problem’ is and how physicians need to have more balance in their lives and take better care of themselves. Everybody calls it good, goes home, and the suicides continue. Or, the people who say they care about physicians do something else. What’s most important is for doctors to know they are not alone. Doctors need permission to cry, to open up, to be emotional. There is a way out of the pain. And it’s not death. Physician suicide etiquette rule #3: Compassion and empathy work wonders. More than once a doctor has disclosed that a kind gesture by a patient has made life worth living again. So give you doctor a card, a flower, a hug. The life you save may save you. Pamela Wible pioneered the community-designed ideal medical clinic and blogs at Ideal Medical Care. She is the author of Pet Goats and Pap Smears. Watch her TEDx talk, How to Get Naked with Your Doctor.